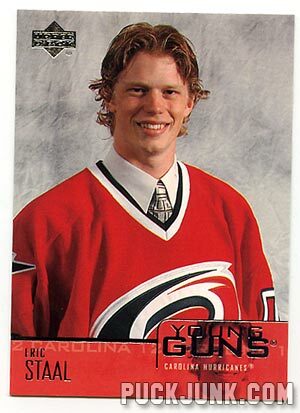 This weekend, I picked up several 2003-04 Upper Deck Young Guns cards. Seeing as how these cards are from five years ago, the players depicted aren’t necessarily “young” anymore – at least, not “Patrick Kane young”. Most of the YGs in the group were common, but here are the best of the lot: #206 – … Continue reading "Bought some "Old Guns""